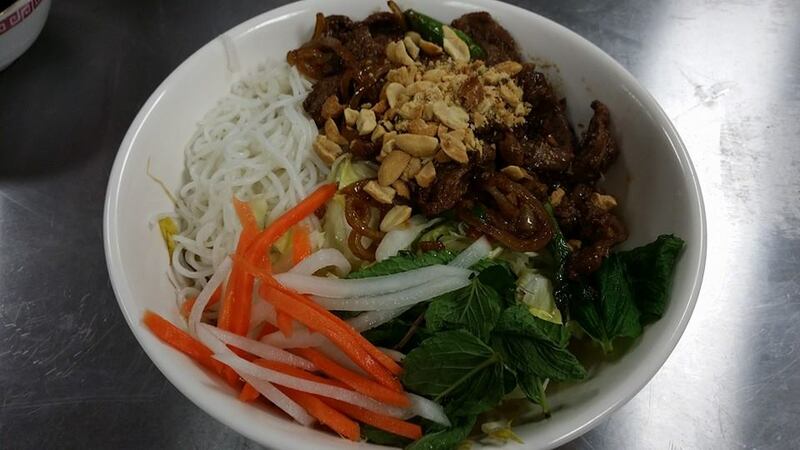 Rice noodle salad with grilled onions and beef. 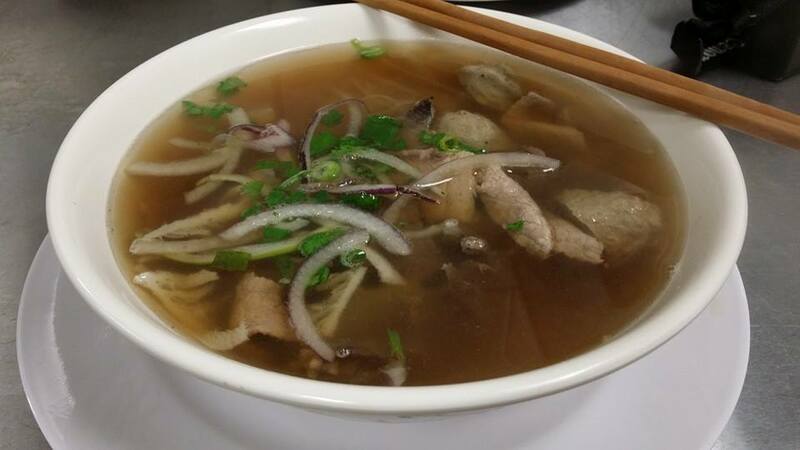 Beef broth with rice noodles and slices of beef. Pork, Shrimp, Rice Noodles, Bean Sprouts, Lettuce, Mint leaves, and Chives.... yes, we were able to neatly wrap it with banh trang (rice paper).